Great tank capacity allows you to clean a great number of accessories in one go. 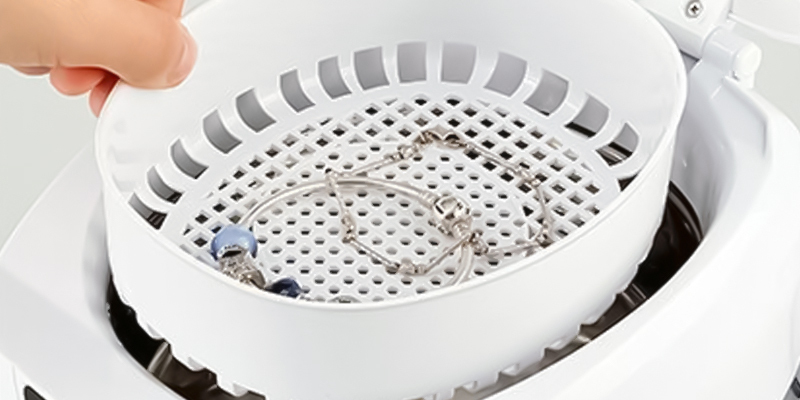 It's easy to place inside the device as many jewels and accessories as you need thanks to a detachable basket. The device is noisy during operation. 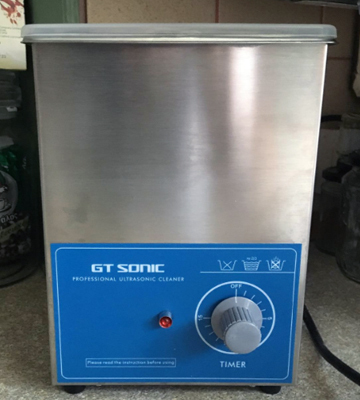 The GT Sonic cleaner is the choice of professionals. Its efficiency and capacity make it suitable for the use not only in jewellery shops but also in scientific and medical labs, electronics manufacturing, and even in the auto industry. The James Products cleaner comes with a lot of attachments including a basket, watch stand, and disk holder that add to the usability and functionality of the device greatly. You'll need to warm water up before using the device. 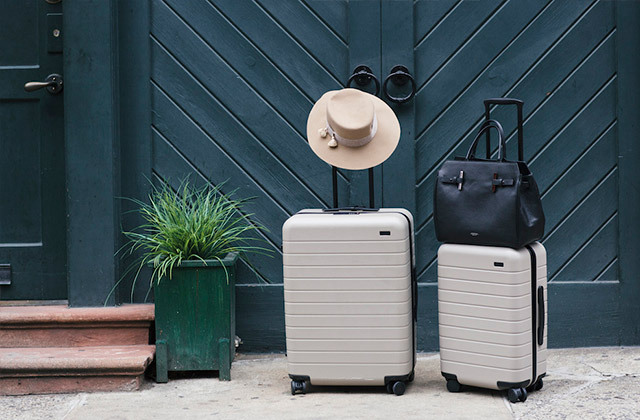 Thanks to the five time settings and a great number of accessories that come with the James Products cleaner, you'll handle any dirt on your valuables with the maximum convenience and in the shortest possible time. The device has a 3-minute cleaning cycle. If you need more time to clean your valuables there's also a reset button which you can use. Jewellery with old stains might need to be cleaned twice. 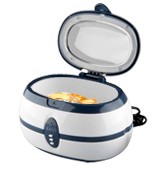 The Zogin ultrasonic jewellery cleaner is a real catch for those who want to take care of their valuables at home. Moreover, it can be used for cleaning dirt not only on precious metals but also eyeglasses, kitchen utensils, and some personal care items. 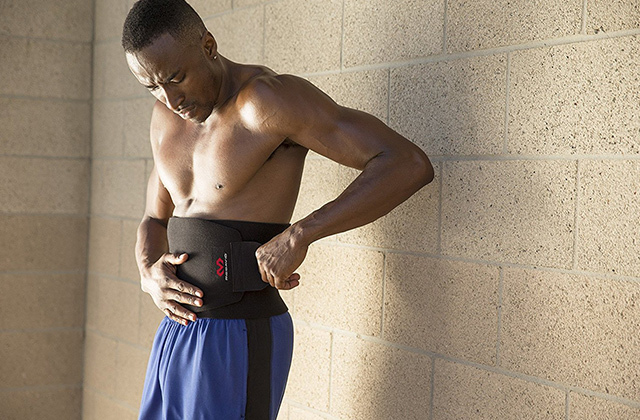 The device is extremely easy to use. You only need to put all the items inside the container and press "ON" button. An auto shut-off feature saves you the trouble of controlling the cleaning process manually. There's no basket for delicate items like glasses. This mini ultrasonic jewellery cleaner from Floureon is what you need to keep your rings, earrings, and necklaces sparkling effortlessly. The device is also available in a 600-ml tank capacity. The Uten jewellery cleaner is equipped with a bright LED display which shows how much time the cleaning will take. 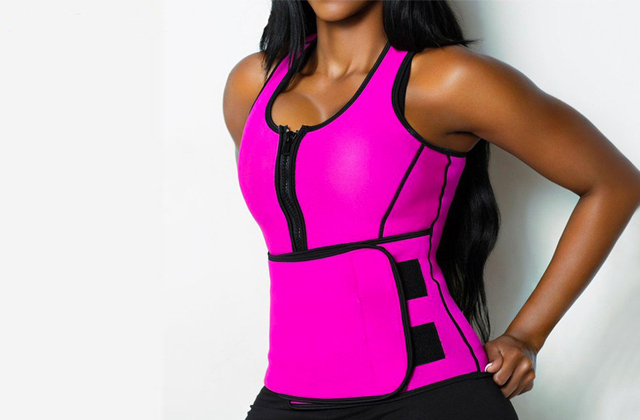 With three buttons on the body of the cleaner, it's very easy to control the device. Some users find the lid difficult to open. 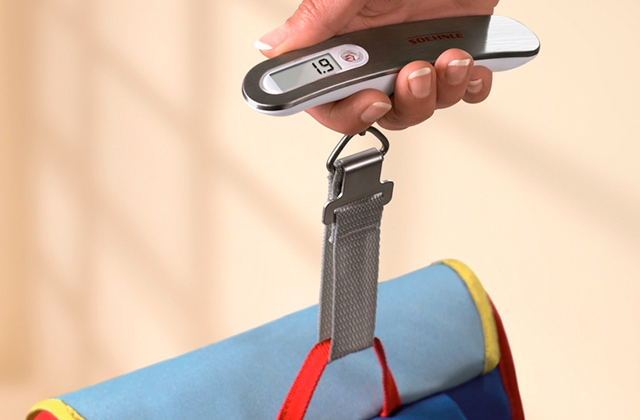 This wallet-friendly model is the combination of functionality and usability. 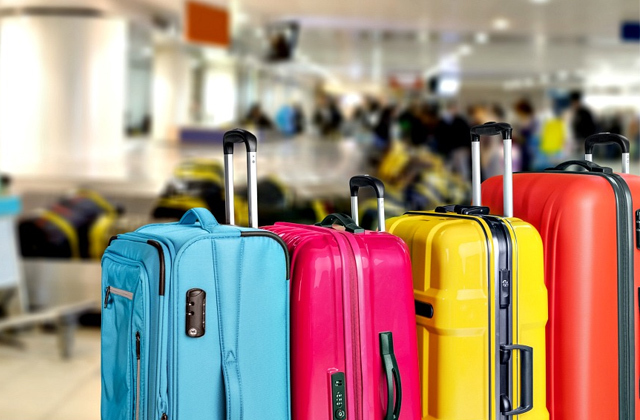 Don't hesitate to choose it if what you need is a simple cleaner, capable of handling jewellery and other valuable personal items with effortless ease. 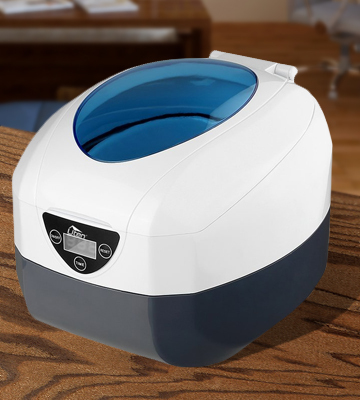 Once you take a look at the description of this ultrasonic jewellery cleaner from GT Sonic, you’ll notice how multifunctional it is. 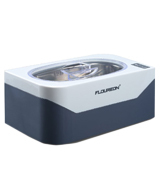 The manufacturer claims that this appliance can be used in a great number of professional spheres including scientific laboratories, electronics manufacturing, medical labs, auto industry, and, of course, jewellery labs. Great tank capacity of 2 litres allows you to cleanse a lot of items in one go. However, keep in mind that you’ll be able to use less amount of actual cleaning solution. 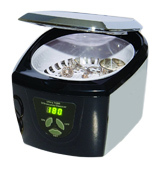 As for the efficiency of this jewellery cleaner, it is provided thanks to 40 kHz ultrasonic frequency that can handle dirt on rings made of different precious metals as well as on machine parts like carburettors, fuel injectors, switches, etc. Moreover, this device from GT Sonic can show great results when cleaning glass items and medical instruments. And to provide even better cleaning results, the manufacturer has equipped this device with a timer that can be set within 1-15-minute range. Choose the necessary timer option with a rotary dial and the GT Sonic device will do the rest for you. 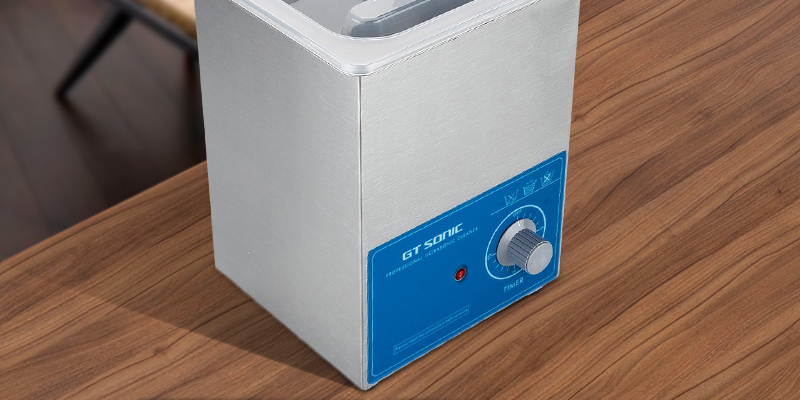 All in all, the GT Sonic jewellery cleaner machine will become a great choice for professional use if your aim is to provide your clients with the best service quality. Are you looking for a home jewellery cleaner to remove dirt from your favourite valuables? Then, this model from James Products is worth your consideration. 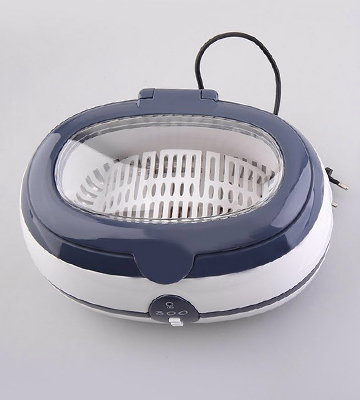 In addition to being able to return natural shine to all precious metals and gemstones, this device can be used to clean other home items as well. It has become possible thanks to the watch stand and CD/DVD holder that come in the box. 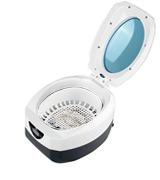 Thus, this compact device with 750-ml basket capacity can be used to clean many other accessories but jewels. And a piece of tarnish removal cloth (which you’ll also find in the package) will help you add shine to the things that require gentle cleaning. The appliance is equipped with a viewing window so that you can control the cleaning process if you want. However, there’s no need to watch the process all the time. The device has a timer with an auto shut-off so all you need to start the cleaning process is set the time (from 90 to 480 seconds). Adjusting the necessary settings is hassle-free thanks to an intuitively simple control panel with three buttons and an easy-to-read display. 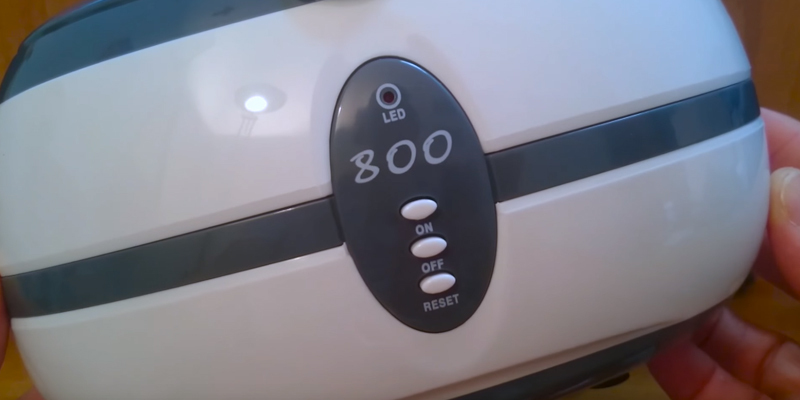 There is no need to explain what ON/OFF buttons are used for; SET button is used for selecting cleaning time. 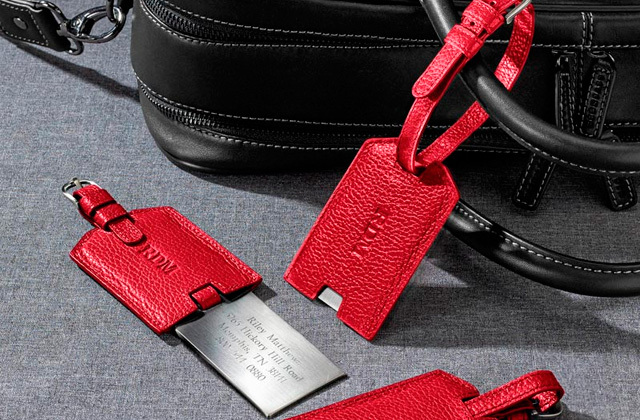 Would you like to be able to renew the look of your valuables in the shortest time possible? If so, you can't beat what the Zogin ultrasonic jewellery cleaner can offer. Utilizing a high-frequency vibration technology, this jewellery can clean your valuables in only three minutes and handle dust bacteria, oxidation discolouration, and dirt so as to give your jewels the shining look. With performance like that, it's not surprising the manufacturers have omitted a timer function but to give you some peace of mind they've made up for it with an auto shut-off option which eliminates the need to control the process manually. Though if you wanted to, you could easily watch over the process through a small viewing window built-in the lid of the device. One other benefit of this jewellery cleaner machine is that it can be used not only for cleaning your rings and watches and things like that. 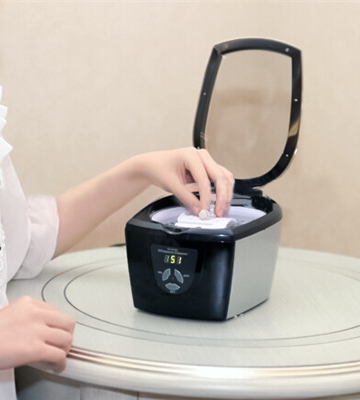 According to the manual, the Zogin ultrasonic jewellery cleaner can also be used to banish dirt and tarnish on many other items and materials that have a similar texture. Thus, you can cleanse your spoons, forks, knives and other kitchenware in this jewellery cleaner seeing that they fit the basket of the device. Why, many other personal items such as sunglasses, toothbrushes, combs, shaver heads, etc. can be disinfected in this machine, which makes it truly multifunctional in its class. Don’t hesitate to opt for this effective and easy-to-use device to keep all your valuables as good as new. 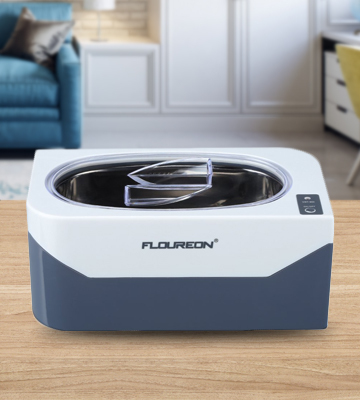 If the combination of functionality and usability features are the top priority for you then you'll be hard-pressed to find a better option than the Floureon GDMZ0001ABG mini ultrasonic jewellery cleaner. 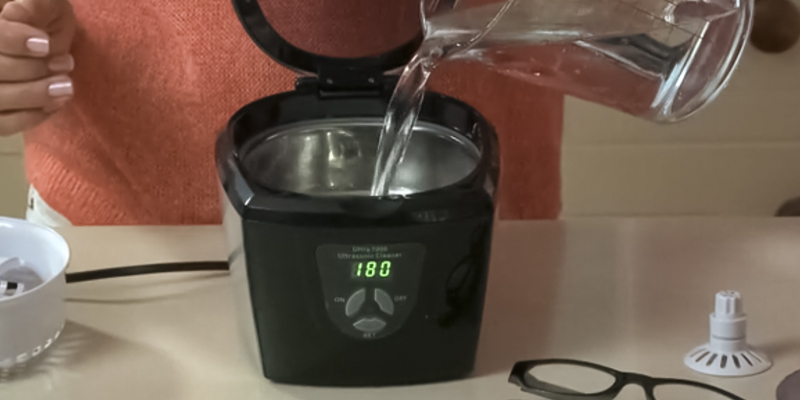 Designed for home use, this item has a moderate tank capacity of 400 ml and will suit those who do not need to clean plenty of jewellery or other stuff at a time. But if 400 ml seems too small for you, a 600-ml model is also available. Open the lid of the device and put all things you need to clean inside. Pour some water into the tank so that it covers everything you’ve put there. Close the lid, plug the device in, and press ON button. 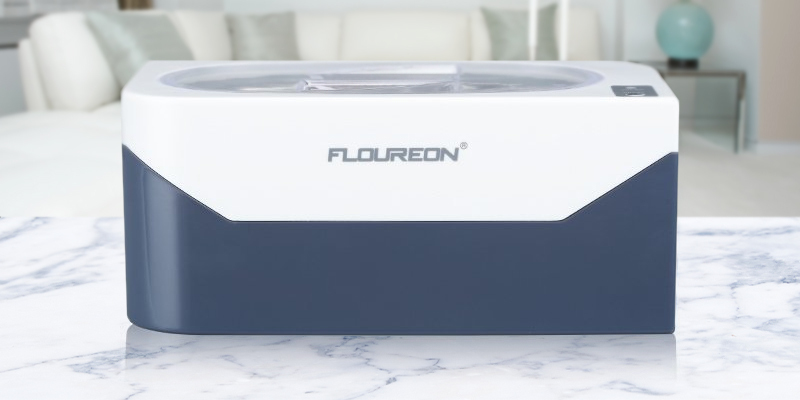 Once you do it, the Floureon jewellery cleaner will start up automatically and then, when three minutes pass, will shut itself off. 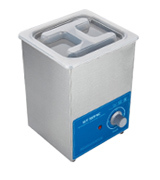 Whether you are looking for a jewellery cleaner for occasional use or you need one for cleaning valuables on a daily basis, the Uten ultrasonic cleaner is the model that should pique your interest. Similar to most at-home cleaners of the type, this model is suited for all precious metals and gemstones and can also be used for other stuff made of different alloys, glass, and even plastic. The device is easy to use. It starts up immediately once you put necessary stuff inside the tank, pour water, close the lid, and press "ON" button. It doesn't have an adjustable timer but it features a 3-minute auto shut-off option so you don't need to control the process. In case this time is not enough for a thorough cleaning, simply run another cycle using "reset" button. The thing we like about this cleaner is that it's compatible with various cleaning solutions to improve cleaning results, which is a handy feature when you need to deal with stubborn stains that are difficult to remove. The device comes with a basket and a disk holder for more convenient and effective cleaning of your accessories. However, if a basket isn’t big enough for some of your items, for example, eyeglasses, you can put them right into the tank. Besides, this cleaner is available in two capacities - 600 ml and 750 ml - so you can choose the one that suits you most. Finally, we'd be remiss not to mention the price of this cleaner. Seeing the high-quality build of the device and its effective performance, its price is really affordable, to say the least. This all makes it a great alternative to expensive models, should you be looking for a budget-friendly and simple appliance to bring back the shine to your old heirlooms. What Is a Jewellery Cleaner? Nowadays jewellery is quite popular both with men and with women. Whatever country you take, you'll see people wearing cufflinks, bracelets, rings, earrings, brooches, etc. Jewels work magic and can greatly enhance the look of any attire, although in order for them to do so they need to look good. To sparkle and give that attractive flash we all love jewels for, they require special care. Sure you can try cleaning them with whatever you have at hand but if you do that you might run a risk of spoiling your heirlooms. You can also go to a specialist, but this option is expensive and will take time. So is there any alternative solution? Yes, there actually is - a jewellery cleaner. This device is specifically designed to allow people to clean their valuables in the comforts of their own homes. Within a short space of time, a jewellery cleaner can cleanse all of your jewels and precious gemstones and give them amazing flash and shine. The most important thing is, they do this gently and prevent any mechanical damages. Another reason that makes these units so popular is that many of them are multifunctional and can be used for cleaning not only jewels but also other things like watches, eyeglasses, disks, and similar personal care stuff. Not only do our rings and necklaces need to look beautiful and clean; in order to make the right impression on people around us, we should do our best to look neat and clean and well-groomed. 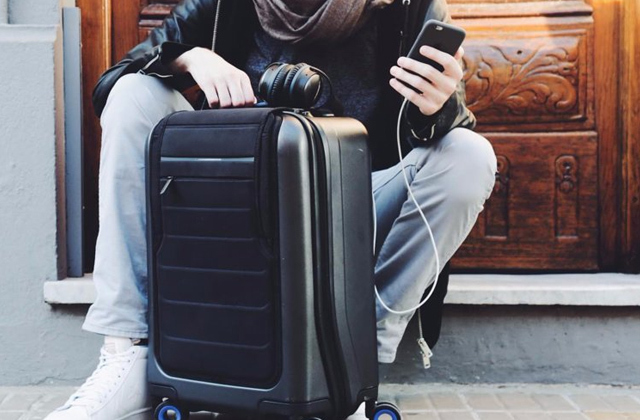 For this, you might want to add a few handy accessories to your grooming kit such as a lighted makeup mirror and a small travel hair dryer for quick touch-ups on the go. Basically, there are two main types of cleaners: electric devices and different solutions. The choice of a jewellery cleaner depends on what kind of jewellery you wear. The electric devices usually use ultrasonic technologies, while solutions use chemical active formulas. Ultrasonic devices are great for people who adore precious metals and stones and wear jewellery all the time. However, if you don't need to deep clean your jewellery that often, a chemical solution is a more reasonable choice. Another important thing to consider is the method of cleaning. 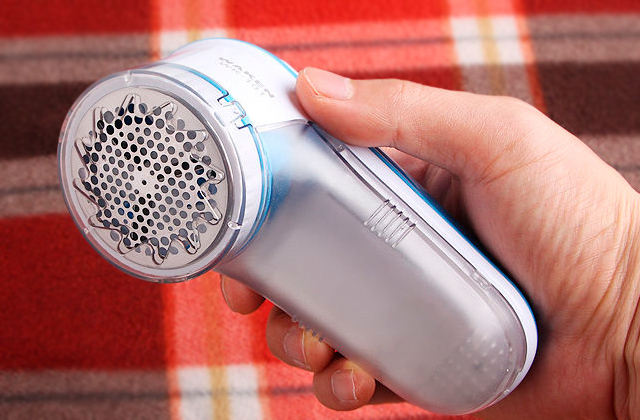 Electric devices use different technologies such as ultrasonic or steam cleaning. As for chemical solutions, their formula varies, yet it should be safe enough to be used with the majority of metals and alloys. You do not have to be a chemist and know all the chemical ingredients, you should just be aware of what precious metals the formula is best for. 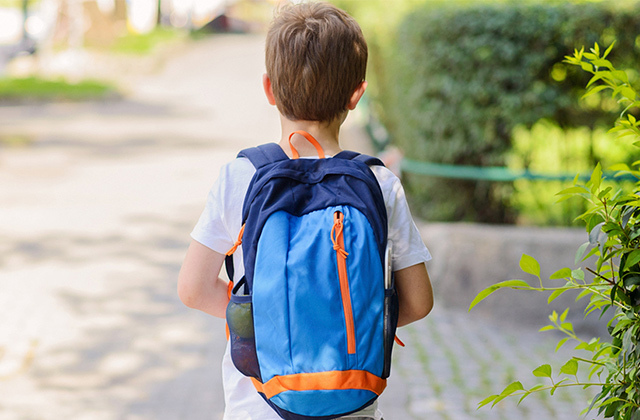 Knowing that you can be absolutely sure that your valuables will be clean and well-protected. Of course, you need to remember that the more careful you are, the longer your items will serve you. Any jewellery cleaner has some extras which add to its usability drastically. For example, most high-end devices are very easy to use, since they are equipped with digital controls that simplify the process of cleaning and help you operate the device. If you are going to use the device for commercial needs, you should opt for a powerful and multifunctional cleaner. For home use, you can simply purchase special wet wipes (they are rather affordable and easy to use). However, keep in mind that sooner or later you will run out of these wipes and would need to purchase new ones. Q: Are there any other ways to clean jewellery? A: Of course, there are. You can find a lot of cleaning methods on the Internet. Some people clean jewellery using Aluminum foil, ammonia, vinegar, baking soda, beer, and even toothpaste. However, every of these methods has its drawback. Soda, for example, makes the jewellery shining, but you should be very careful while cleaning tiny things, as you can scratch them. You can also go to a professional jeweller to get your valuables glossy, but frankly speaking, it's a rather costly procedure. Q: What makes the silverware tarnish? A: There can be a lot of reasons for silver tarnishing. Product quality, chemical exposure, humidity of the environment, or direct sunlight. Q: What can damage my jewellery? A: Under the influence of the external environment, jewellery might lose its luster. Such factors as oxygen, water, household chemicals, cosmetics, creams, and the sun can have a negative effect on your valuables. You should also avoid mechanical damages, as they lead to micro-scratches on the surface of precious metals. As a result, a product just loses its gloss. Q: What are the advantages of jewellery cleaning machines? A: The biggest one is obviously the convenience of use these machines offer compared to other cleaning methods. All you need to do is put necessary stuff inside the tank and press one single button. The jewellery cleaner will do the rest for you. One more advantage to using jewellery cleaners is their ability to get into small crevices and nooks and the ability to remove the most stubborn stains and dirt. Jewellery cleaners are also environmentally-friendly. They don’t emit any pollution nor do they produce waste that may harm our earth. Finally, jewellery cleaners allow significantly prolonging the life span of heirlooms and other precious valuables we love. Q: Can a jewellery cleaner protect the surface of the product from scratches? A: As a rule, most models can. 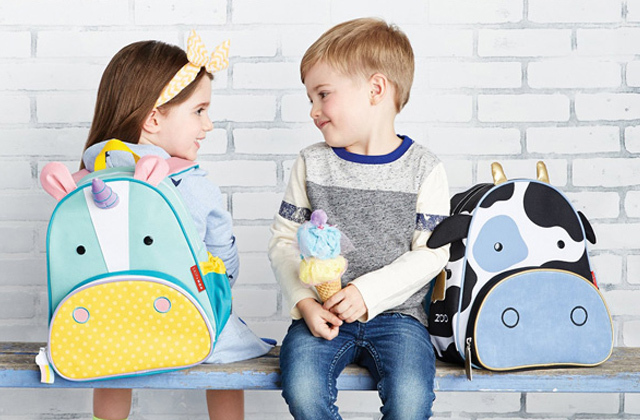 Typically, they cover items with a protective layer to prevent micro-scratches. Q: What metals can a jewellery cleaner be used with? A: It depends on the cleaner type. Some of them can be used with all precious metals, while others are suitable for silver, gold, brass, and copper only. 1. Secrets to Keeping Your Diamond Sparkling, GIA Instruments. December 10, 2015. 2. Cleaning Your Jewelry Safely, eBay. March 3, 2016. 4. How do I Choose the Best Jewelry Cleaner? wiseGEEK. 5. How to Choose an Electronic Jewelry Cleaner, HowToCleanStuff. 6. Kate Miller-Wilson Silver Jewelry Cleaner, Love to know.